This program was created with flexibility in mind. You can use the entire guided meditation and journey through the whole chakra system toning and balancing as you move from root to crown. If pressed for time or if you simply need or want to only focus on one area, you may choose that track and have a 10 minute tune up for that chakra. If you are wondering how to know which area of your energy (chakra) system is out of balance you can get our Chakra Assesment Test by signing up for the newsletter. The assessment takes you through each chakra and provides you with a handy answer key at the end that lets you know which part of your system needs attention. 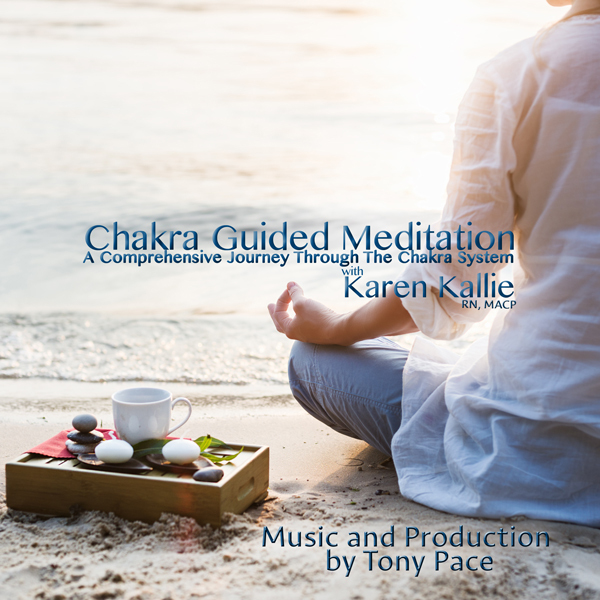 Chakra Guided Meditation Program goes more in-depth than Balancing Your Chakras using proven guided meditations created by Karen Kallie.